Have some leftover dal from last night's dinner. It's sitting pretty in your refrigerator with no takers. Don't know what to do with it? I have an idea. Make delicious dal paratha out of it. 1. In a deep bowl, mix all the ingredients except oil. Don't add any water. Use dal to knead the dough. Add enough flour to make pliable dough. Cover with a damp cloth and set aside for 20 minutes. 2. Take a ball (peda) out of the dough and roll out into a 6 inch round paratha. 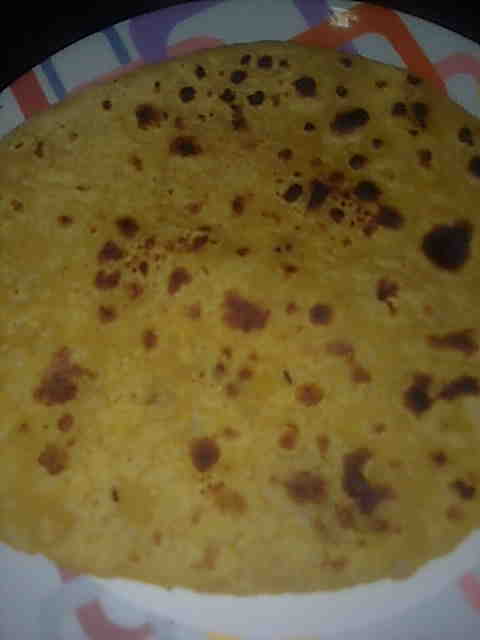 paratha. Serve hot dal paratha with curd.